An expedition 4X4 / Touring 4X4 is usually meant for long distance traveling or continuous traveling. This type of setup will need to be adapted to suit individual camping needs and storage. The idea of a Tourer is to be able to explore the country far from home and still be self-sufficient with supplies and creature comforts. 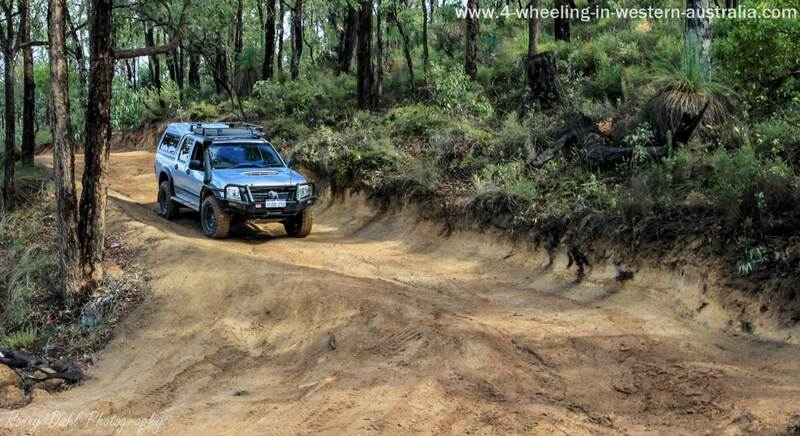 An 4x4 can be modified to take on real remote areas, long weekends involving long distances, touring Western Australia, touring multiple states and territory's or touring the entire country. So a weekend long trip to a few years of traveling, anywhere in between can be considered a Tourer. Some expedition 4x4 setups are quite amazing, for example the rear tray on a tray back ute can house a pull out kitchen with sink, running water, fridge, gas hot plate and other things need like camping lights running off the spare battery. Another great addition to the vehicle is the 4x4 camper trailer. A 4x4 camper trailer won't hit the fuel economy as hard as a caravan and is a lot easier to tow. Usually camper trailers offer larger tents than the regular tent setups, they can also aid in storage from fuel to food and water. Just like above these 4x4 camper trailers also come with pull out kitchens and even a shower. Unless you’re really confident and good at reversing with trailers, I would recommend not taking on tracks that are to gnarly as reversing in extreme situations would obviously be near impossible to the untrained. Holden Rodeo Setup For Touring. With the basic 4wd mods, 50mm lift kit, off road tyres, bull bar, snorkel, UFH radio, recovery gear and lots of maps, touring requirements will more than likely require Long range fuel tanks and/or extra fuel containers, roof racks and/or canopy (if a ute) for the extra cargo space also dual battery setup to keep your fridge/freezer powered. Advanced Expedition 4x4 / Touring 4x4 modifications. For the more advanced touring 4wd setups additional mods come in handy, most of these are for safety, solo touring and remote travel. The all-important winch plays a big roll, a winch is like insurance, when you need it you're happy you have it. A winch can be a life saver when remote traveling, as soon as it has been used once it really pays for itself. Off road GPS is also really important for the expedition 4X4 as it will assist so much in preventing you from getting lost, do remember to still bring paper maps and know how to read them. Having an additional spare tire is very important for the advanced expedition 4x4 as damaging the spare with only five wheels will mean there are no more life lines until you get it fixed or replaced, with that extra spare the whole trip will be less stressful and safer. On board water tanks will increase the distance of travel as much as fuel would, also with extra water a shower could be used. Inverters (DC to AC inverters) are great for charging hand held radios, mobile phones, cameras, camcorders and other gadgets. A solar panel can come in handy for extra charging and can be used at camp as a power source but is not really necessary (more for creature comforts). Bash plates and rock sliders will help keep the 4wd safe in the rocky remote areas but are not really a requirement, without these simple care can be taken whilst navigating tuff areas can be just as good. An Awning would be very useful for providing shade fast, as they are easy to pull out and fold back in place. Leave Expedition 4x4 And Go To Home Page.